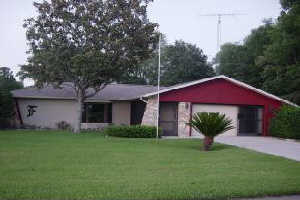 GOLF COURSE HOME IN CITRUS SPRINGS Spacious 2 BR, 2 Bath right on the Golf Course - Nice View !!! ON THE CITRUS SPRINGS GOLF COURSE!! Enjoy retirement as it was meant to be, or just a great home if you like to play golf! Florida rm HAS NEW WINDOWS AND A GREAT GOLF COURSE VIEW. Free standing FP and a SPA. Many furnishings included. See attached. Citrus Springs has 2 golf courses, CS and El Diablo, walking trail, and tennis courts. Easy commute to Ocala. 70 miles from Orlando and Tampa. Just a short drive to the Homosassa River, Crystal River, Withlacoochee River, Lake Rousseau and the Gulf of Mexico.